Hurricane Island high school programs help students immerse themselves in our natural world through hands-on exploration and discovery. Our off-the-grid setting is perfect for students to unplug and become better acquainted with the natural world around them. Daily activities will develop students as leaders as they engage in team building, rock climbing and/or sailing adventures. Students will become an integral part of our sustainable community and will leave the program with memories and friendships that will last a lifetime. 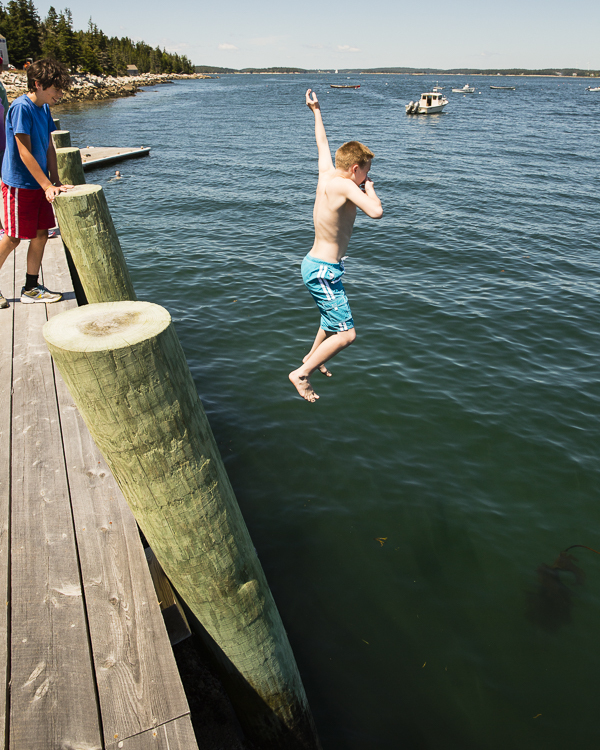 This week-long teen science camp is packed with experiential learning adventures along Hurricane Island’s breathtaking coastline, beaches, and trails. Challenge your mind as you explore, think, observe, and ask questions like a trained naturalist and become familiar with the field sampling techniques of island ecologists. Learn to identify native and invasive species and how they interact with their environments. Collect data to help researchers learn more about the impact of climate change on the timing of natural events. Explore the shores and forests of Hurricane and learn about it all, from microscopic to macroscopic! In this two-week teen science camp, students will explore Hurricane Island’s breathtaking coastline, beaches and trails. In the first week, students will learn to think, observe, and ask questions with an in-depth look at marine biology and the sampling methods scientists use to develop research projects. With the help of our education and research staff, students will spend the second week completing their own independent research project in marine biology, which they will present at a joint symposium with our Sustainability students at the end of their program. Explore all aspects of the marine environment from the intertidal to the water column and discover what excites you. Work with experts to design an independent field research project. Develop your own research methods and implement them with support from your instructors and your classmates. Learn how to analyze your data, document your efforts and share your findings with the community. Leave prepared to continue your project on your own at the end of the course or look forward to coming back next year. This two-week long teen science camp is packed with experiential learning adventures along Hurricane Island’s breathtaking coastline, beaches, and trails. Challenge your mind as you explore, think, observe, and ask questions, and become familiar with the alternative energy systems and technologies that support our off-the-grid island community. Learn about how we’re using solar power and thermal hot systems as alternative energy sources. Discover edible species through foraging, and participate in the planning and implementation of sustainable food systems. Explore the practical application of constructed wetlands for grey water treatment, and learn about composting toilet systems. This week-long teen science camp is packed with experiential learning adventures along Hurricane Island’s breathtaking coastline, beaches, and trails. 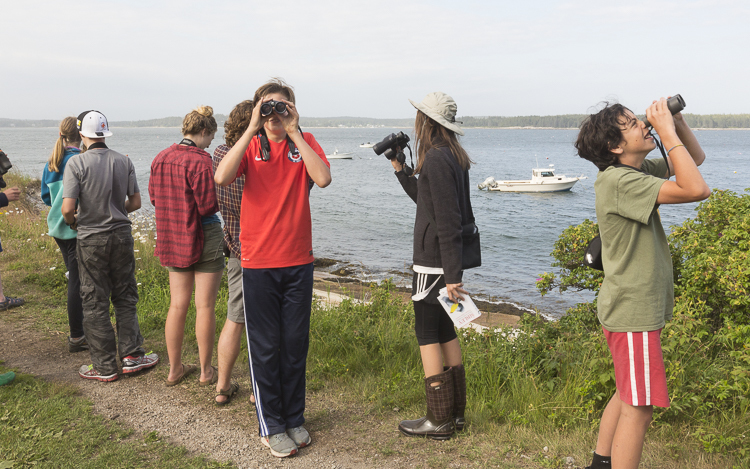 Challenge your mind as you explore, think, observe, and ask questions like a trained naturalist, and become familiar with the field sampling techniques of marine biologists. Explore and sample the intertidal zone. Build and deploy oceanographic equipment. Participate in current ongoing scientific research on Hurricane Island. Learn about the lobster industry and pull traps. Practice sustainable living andlearn about the systems and technologies that support our Island community, from solar panels to composting. $2100 - All inclusive of transportation to and from Rockland Harbor and Hurricane Island, housing, meals, snacks, and all programming. This program is an integrated two-week STEM-based marine biology and sailing program for High School young women from Maine and beyond. The lucky 12 participants will spend two weeks learning about oceanography, marine biology, maritime history, sustainability, marine technology, marine debris, etc. on Hurricane Island and aboard the sailing vessel Boyd N. Sheppard. Students will start their experience on Hurricane Island, learning about each other, the scientific process, collecting data, and developing their independent research projects. They will leave Hurricane in the second week to set sail with Captain Katie and her crew on the Boyd N. Sheppard, transitioning from the Island to doing science at sea! The program will culminate in a community presentation of student findings in Rockland, open to the public, families, and staff. This program was created with the intention of creating a long-lasting and broad-reaching program that focuses on providing young women with STEM experiences. One of the goals of this program is to foster environmental awareness and encourage students to return to their homes and schools as advocates and leaders for continued education, research, and collaboration. Take your summer experience to the next level with learning and adventure at-sea with other young women who share your passion and excitement about the world around them! 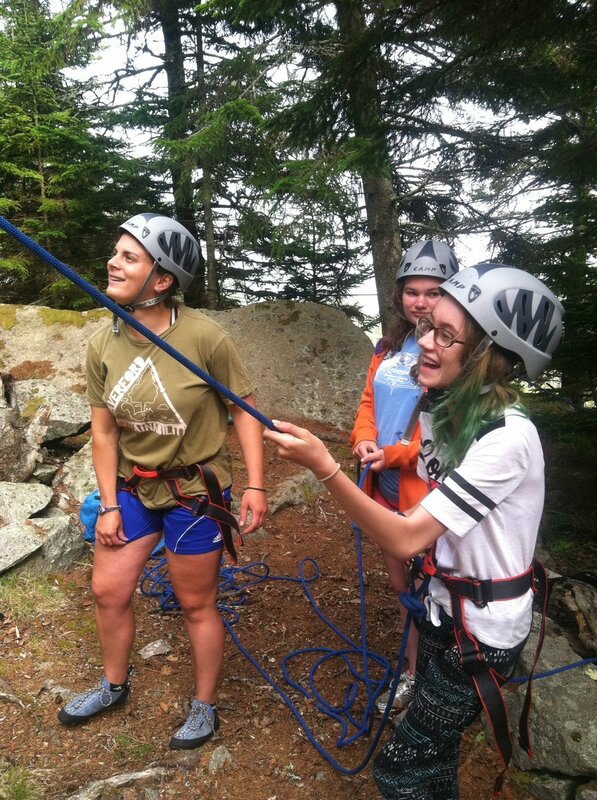 Maine students are eligible for ALL of our programs but we have special programs just for Maine students that we work with other organizations to design and deliver. Check out these opportunities below! The Apprenticeshop, the Hurricane Island Center for Science and Leadership (HICSL), and the Hurricane Island Outward Bound School (HIOBS) have united around a shared vision: to foster the development of character and inspire a curiosity for science and craftsmanship for midcoast Maine youth. Through hands on engagement in seamanship, science and sailing we hope to inspire innovation, curiosity and develop leadership that will have a lasting impact in the community. The program is open to rising 8th and 9th grade male and female students in the Midcoast region, from Waldoboro to Northport. Students from out of this target region are encouraged to apply, and we will place them on a waitlist. If there are course spots available after May 15, 2018 we will open them up to waitlisted students. Please contact Phoebe Jekielek at phoebe@hurricaneisland.net or 207-867-6050 with questions. Cost $2100 - All inclusive of transportation departing from and returning to Rockland, Maine, housing, meals, snacks, and all programming. Want to participate in one of our summer programs on Hurricane? Click to register today!